This week at Just Add Ink, we have a colour challenge from Patrice Easton. I loved this colour combo and here is what I came up with! 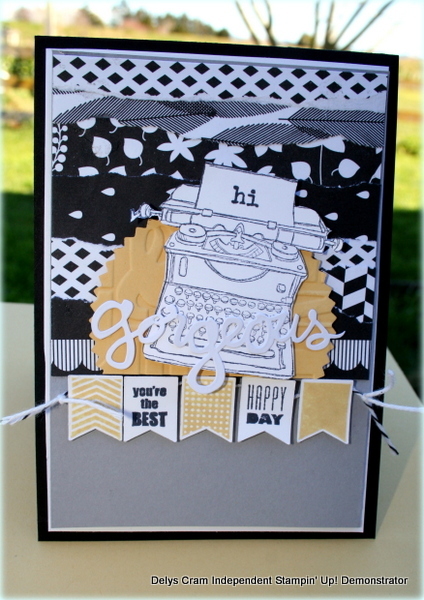 For this card, my base was in black and I tore strips of the back to black DSP for my background panel. The ‘gorgeous’ and heart (inside) is from the PL Love story accessories pack. 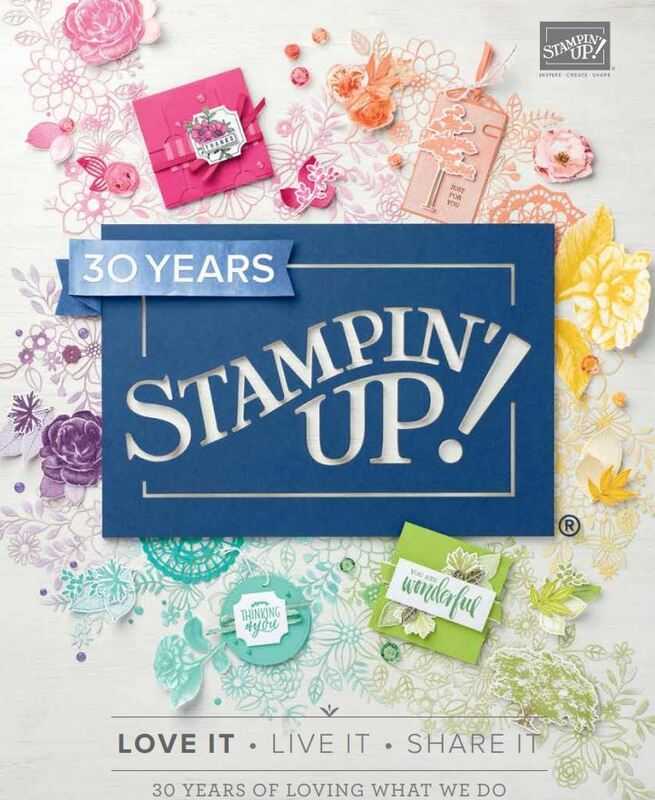 Stamps I used was Tap Tap Tap and Banner Banter(with matching punch). Big shot..I used the alphabet press and the starburst framelits. Black and white bakers twine for the banner. Here’s another view. 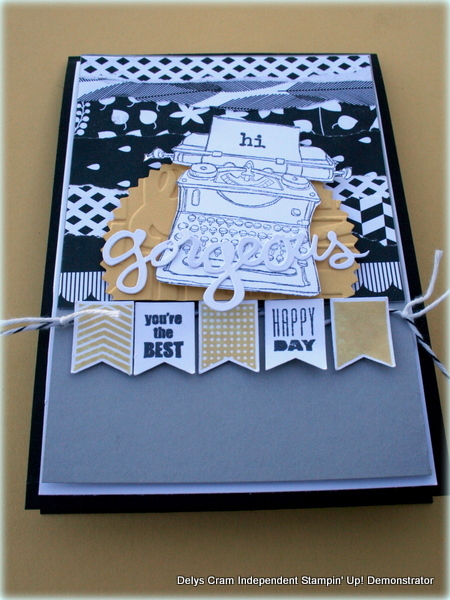 Your card is totally gorgeous Delys – love all of those fab layers and details! I just love this super-cute card, Delys. So many gorgeous elements, and lots to look at.